Earning capacity is a legal term used by most courts in personal injury cases to designate economic losses due to the impairment of the ability to earn money in personal injury cases. Loss of earning capacity is distinguished from a loss of actual or expected earnings. Earning capacity is the expected earnings of a worker who chooses to maximize the expected present value of future actual earnings, while expected earnings are the expected values of actual earnings. 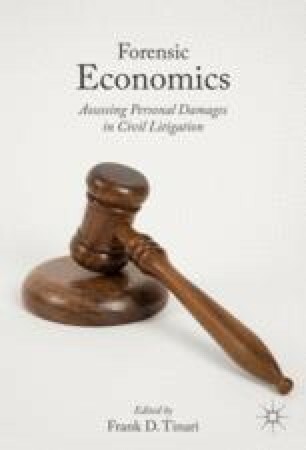 The chapter reviews the legal and economic bases for the earning capacity standard of loss, relying on supply, and demand analysis. In addition, the article provides principles that guide the evaluation of earning capacity both prior to and after an injury.